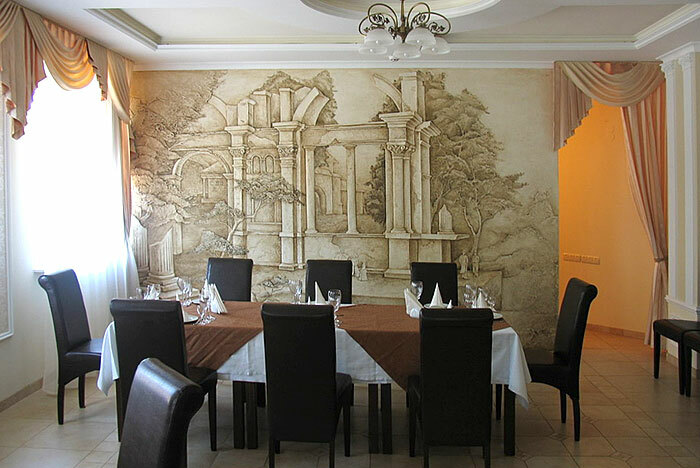 In the Vynnyky town centre, 7 km from the centre of Lviv. 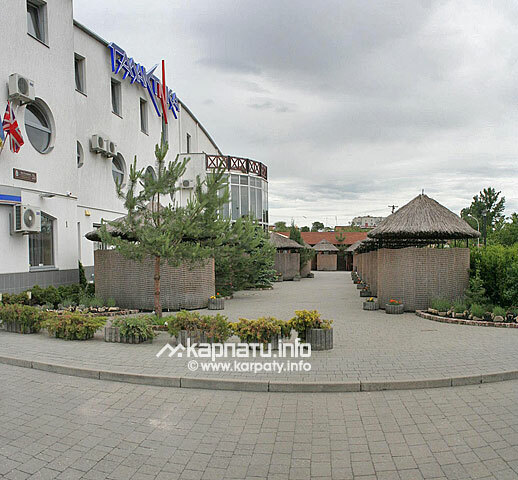 Hotel has 49 rooms, restaurant (70 persons), café (35 persons). Near the hotel there is a summer courtyard and gazebos. 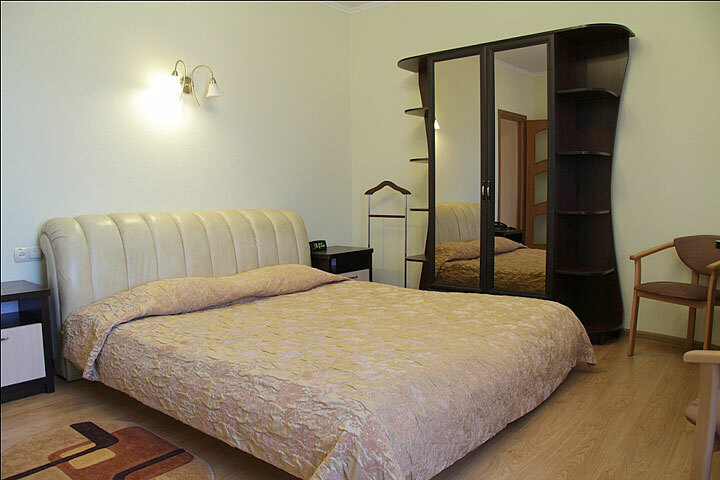 Double room standard (30 rooms) has 2 single beds, a bathroom (WC, shower, towels dryer). 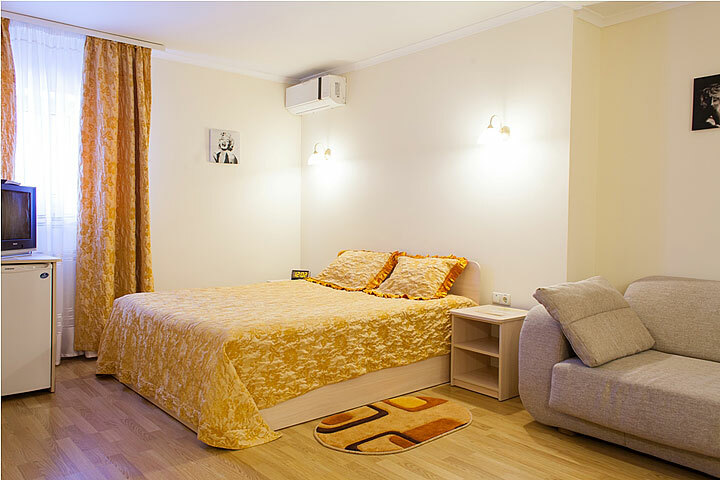 Some rooms have extra beds — either 1 or 2 single beds. Semi deluxe suite (11 rooms) has a double bed, an air-conditioner, a mini-bar and a bathroom (bath, WC, towels dryer, hairdryer). There is a folding sofa in one room. 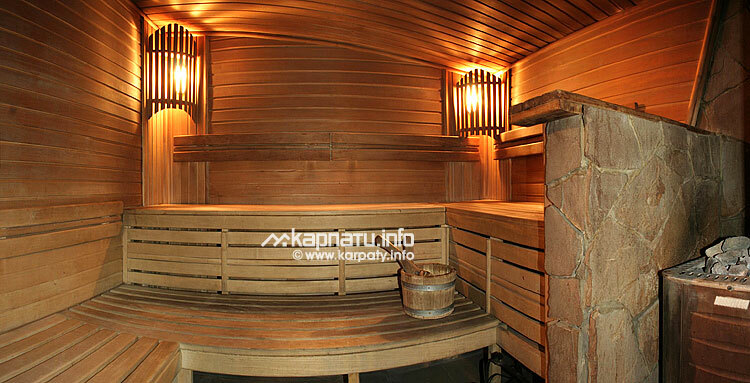 There are 2 semi deluxe suites in the bathhouse (decorated with wood). Deluxe suite (1 suite) is a 2-room suite, with a bedroom (double bed), a sitting-room (folding sofa, chair, mini-bar), an air-conditioner and a bathroom (bath, WC, bidet, towels dryer, hairdryer). 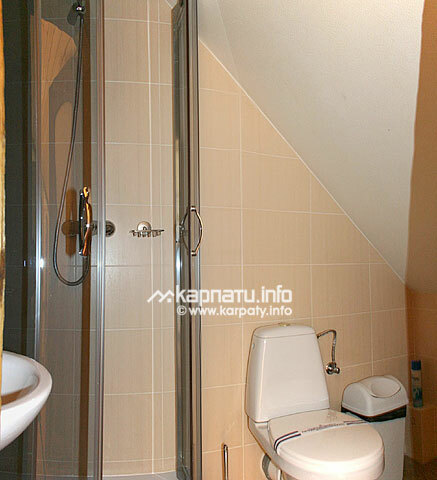 Each room has a TV set, a fridge, an electric kettle, phone, a wardrobe, a safe and towels (3 towels per person). In the bathroom there is a hygienic kit, there are slippers in deluxe suites. In the café, a la carte. 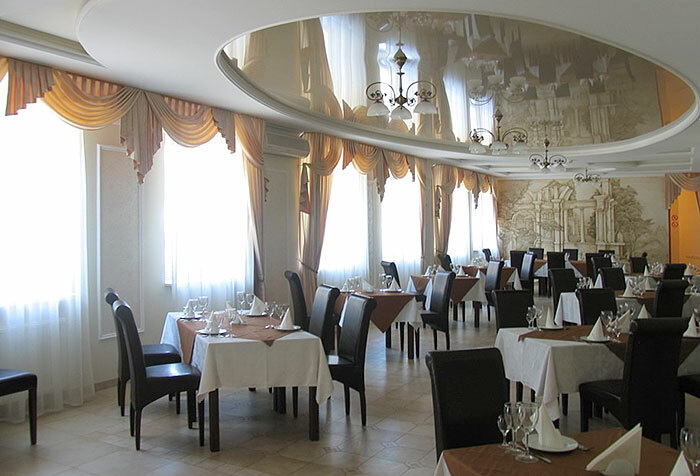 Restaurant for 70 people and a VIP-room (30 persons). Room service (11:00-24:00) — +10% charge. Baby meal and dietary meal is available. Guarded parking, luggage lodging, taxi call. 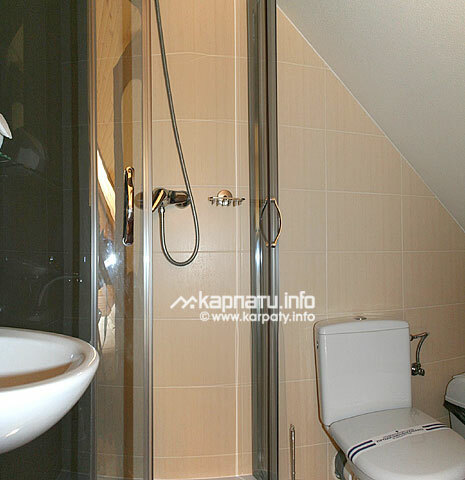 Rooms are cleaned and towels are changed daily, and bed linen is changed every 3 days. 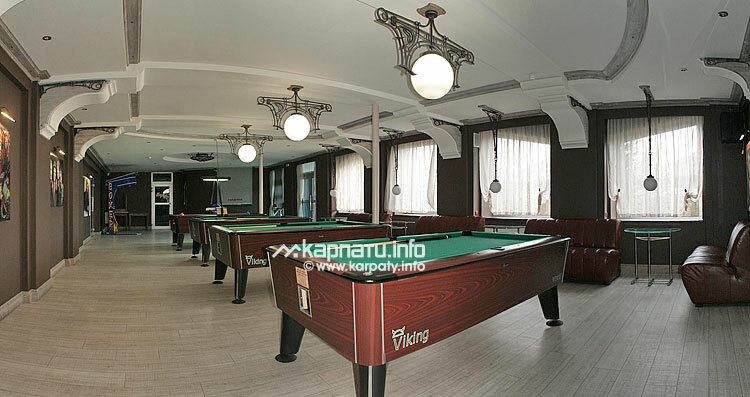 Laundry and ironing — from 10 UAH per unit. 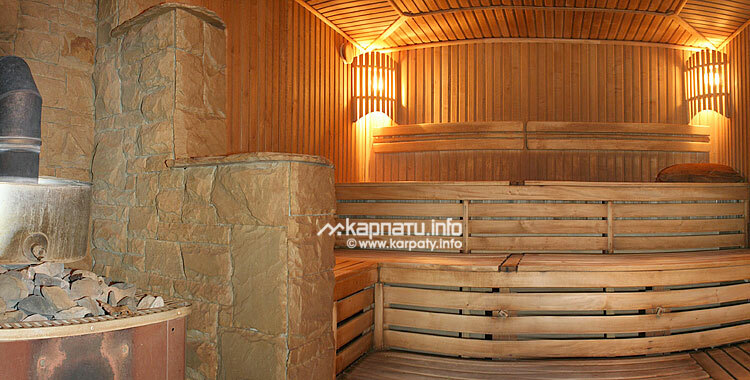 Wood-heated sauna with a swimming pool (9x3 m, reverse flow). 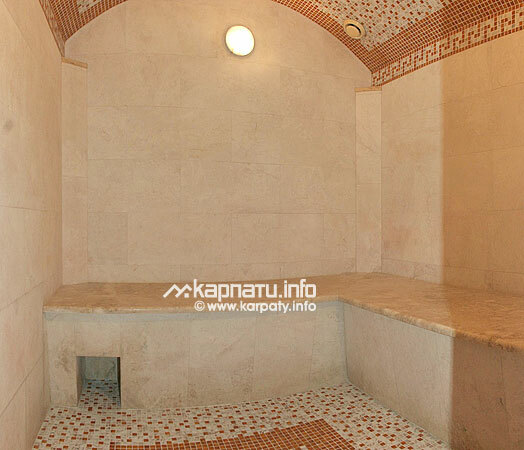 Russian bathhouse with switches and a cold pool (oak tub, massage bed, tub with cold water). Rate includes bed-sheets, towels, caps and drinks (water), switches are available at extra charge. 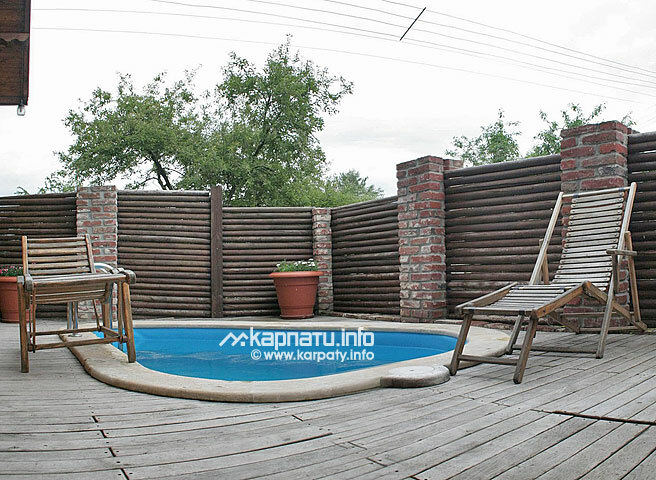 on weekends (Friday-Sunday) — from 390 UAH per hour, additional payment — from 90 UAH per person. Massage should be requested in advance. The reception takes care of your leisure: tickets to theaters or cinema and guided tours can be booked. Tourist tax is for the extra charge (0,5% of the room rate). 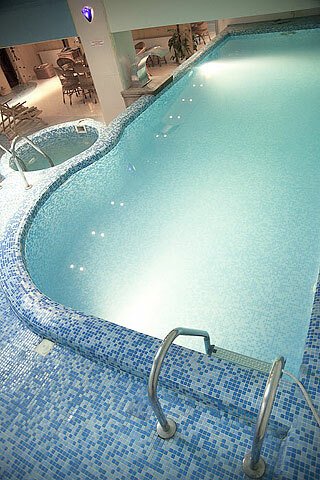 50% discount applies for children under 12 years old using sauna and Roman bath. Payment by means of a credit card of any payment system is accepted. From Lviv (Mytna Sq.) take bus #36. Get off at "tobacco factory" stop. 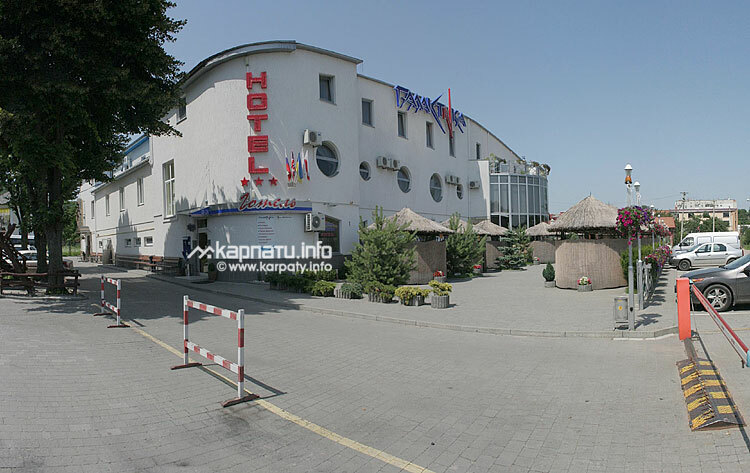 From the centre of Lviv go along Lychakivska St. to Vynnyky, turn left following the sign of the hotel.